Oh Monday, universally the most hated day of the week, but this Monday the most evil of all Monday’s …. 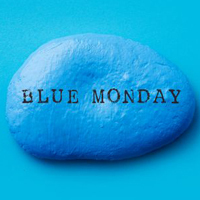 Blue Monday. The 21st of Jan claims to be the ‘most depressing day of the year’ but not this time, we have some self-care tips that we hope will help you combat the sadness. Listen to your favorite song or soundtrack, if it’s all feeling too much stick your headphones in and immerse yourself in the sounds that make you happy. You could have a little sing-song at your desk if you’re at work, or maybe have a little dance around the house in your pj’s. Letting it all out can be a good release if you have something on your mind. If you need someone to listen to you, there are plenty of people on the other end of the phone who want to help. If you are aged 11-17 in the United Kingdom our 1-2-1 Chat is available at www.runawayhelpline.org.uk available between 2.30-9pm every day. Perhaps the gym is the thing that perks you up and makes you feel good about yourself? Or is going for a run the thing that gets your endorphins going? Maybe, it’s lifting weights or going for a swim? It could be none of the above, today might be the day you really just want to sit on the sofa and binge on Netflix. Either way, pick one and go for it. If you can see that someone else is down, suggest going for a coffee, or for a walk. Take some time out to do something nice for somebody. Tell someone at work their hair looks nice, you just don’t know how powerful nice words are. Someone is reported missing every 90 seconds in the UK. The Missing Blog aims to give a voice to all those affected by this issue. Written by families and friends of missing people, supporters working to raise awareness of the cause, and volunteers and staff at the charity Missing People, we hope that this blog will offer a window into the issue of missing. The charity Missing People is a lifeline when someone disappears. To find out more about Missing People and ways that you can support the charity visit www.missingpeople.org.uk. Call or text the charity Missing People for free on 116 000, 24/7 if you or anyone you know is affected by a disappearance. The views, opinions and positions expressed within The Missing Blog are those of the author alone and do not represent those of the charity Missing People. The accuracy, completeness and validity of any statements made within this article are not guaranteed. We accept no liability for any errors, omissions or representations. The copyright of this content belongs to the author.